Invictus size 1 safe with a electronic lock. £4,000 cash/£40,000 goods cover. External Dimensions HxWxD(mm): 220 x 350 x 300. Internal Dimensions HxWxD(mm): 140 x 270 x190. 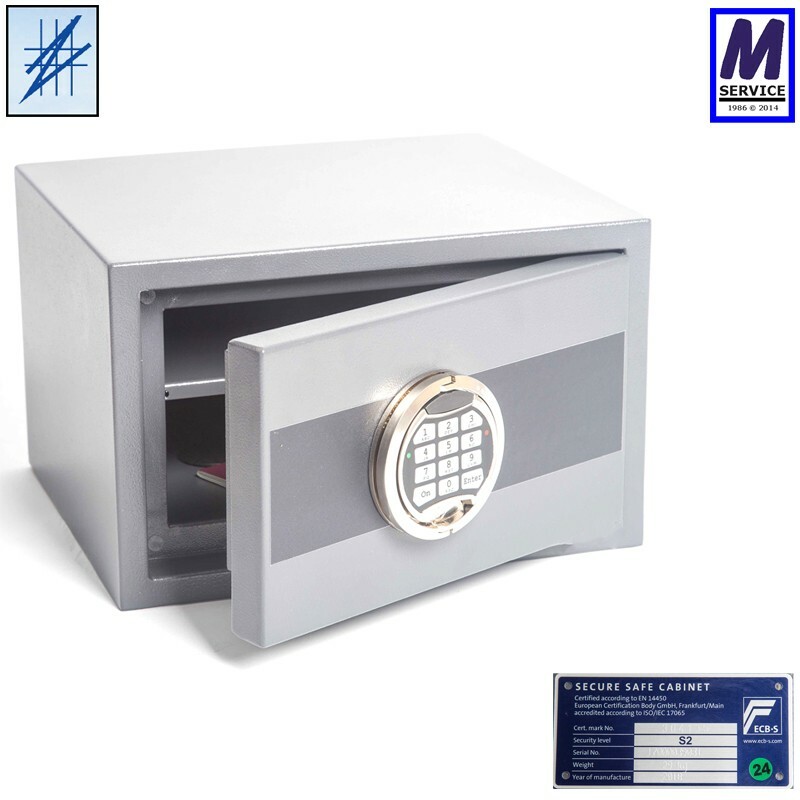 Locking: Fitted with high security VdS class 1 electronic lock. Fixing points in the rear and floor, with fixing bolts supplied. Three way locking and dog bolt. Manganese Steel, Anti Drill and angled deflection plates. 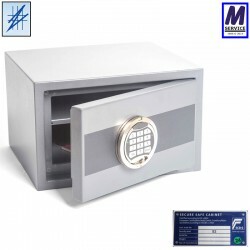 Relockers to Lock out safe when attacked. Cash insurance ratings are a guide only. Always check with your insurance company before purchase.